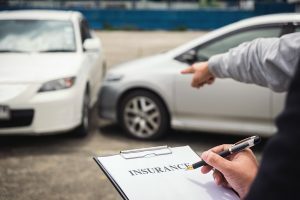 In the case of the majority of traffic accidents caused by human error, the cause is usually pretty easy to legally determine and prove, even when a person seeking to avoid restitution or fault is lying to try to avoid fault. Drunk driving, for example, is very easy to prove in the aftermath. A simple breathalyzer test administered by a police officer can quickly determine that a person claiming sobriety is lying or telling the truth. This is also the case if a person is under the influence of drugs, though in this instance a blood or urine test is usually required. Even with something like distracted driving, there is often evidence of the driver not paying attention to the road. Social media usage can be tracked, photos and videos may be left on the phone of events in the moments before the accident occurred. Even when drivers take steps to delete incriminating photos, videos or instruct friends to delete text messages, that traces of this evidence erasure can be detected by forensic computer technology. The moments, days, and even weeks following an accident can be hectic, stressful, painful, and emotional. During those times it's not always that easy to know what steps you need to take and how to move through your recovery. And if your injuries weren't caused by your own actions, one thing you'll want to consider is seeking financial compensation for your injuries. These personal injury lawsuits are often among the only ways for those who are injured in accidents to get the kind of help that they need when it comes to recovery. Doctors can help with physical healing, but what about the damage done to your bank account? From medical bills to lost time at work, an accident can influence your finances in a huge way. Who Is To Blame In Trucking Accidents? Florida roads are among the busiest in the nation. With the third largest population in the country and millions of tourists visiting every day, it should be no surprise that accidents occur on a sadly regular basis. But among these accidents, the most serious is certainly those that involve large commercial tractor-trailers. Trucking accidents carry the potential to be dramatic in their damage and are often fatal or nearly fatal. Injuries sustained in trucking accidents often include traumatic brain injury, broken bones, paralysis, and more. 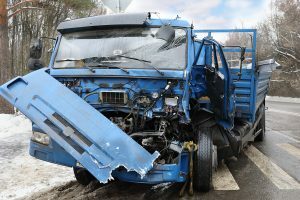 Making matters worse, not only are trucking accidents incredibly serious, but they're also very difficult to become involved in when it comes to personal injury cases. 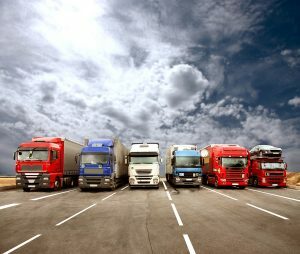 Trucking accident personal injury cases are difficult for numerous reasons. The biggest of these is simply the deep pool of resources that trucking companies and their insurance providers have at their disposal. And a large part of why those resources work against you is simple - it isn't always the driver of the truck that is held to blame for an accident in the Florida courts. Most people have a fairly basic idea about how personal injury lawsuits work. The overall consensus is simple - someone is injured, seeks compensation against the person who caused their injuries, and is awarded either a settlement or a court-ordered compensation. But it often goes beyond that, and things are generally not as simple as you might assume. 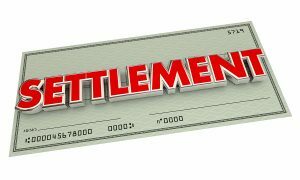 In particular, those settlement offers that are so common are worth a closer look. Understanding more about them could help you ensure that you get the best possible outcome from your personal injury case. 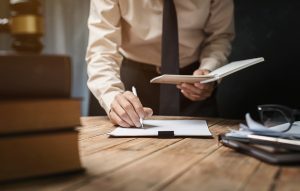 With that in mind, let's take a look at some of the main things that you need to know about personal injury settlements. When most people think of an accident, they think about the many auto accidents that occur around the country every day. And Florida is no exception - millions of vehicles fill our roads annually, increasing the risk of an accident occurring. But roads aren't the only place that an accident can happen, and for those injured on someone's property in a slip and fall or other types of accidents, it's important to know that you have rights as well. Premises liability cases are filed every year, and they can be instrumental in getting your life back on track after an accident of any kind. However, it can be one of the more difficult types of personal injury cases to pursue. This is due to a couple of things. The first is simply convincing people to seek compensation, and the second is the complexity of the cases and proving fault. 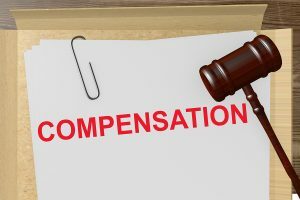 Taking a closer look at these can help prepare you for the process of seeking out the compensation that you are owed. 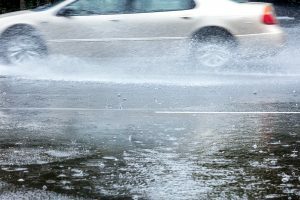 Does Weather Impact Auto Accident Claims? Being involved in an accident of any kind is something that can change your life dramatically. And among the different types of accidents that you can face, an auto accident is certainly one that carries a high risk of serious injury or even death. Obviously, a lot of different factors can impact whether or not an accident occurs. Everything from speeding to texting to just pure bad luck could lead to an accident. But what about bad weather? From hurricanes to heavy rains, high winds to storm damage, there are plenty of different weather-related variables that can contribute to an accident. Do You Need A Lawyer For A Workers Comp Claim? 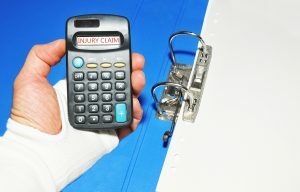 Most of us have some form of a vague idea concerning what happens when we're injured in a work-related accident. After all, workers compensation has been in place for years now as a way to protect employees as well as employers and ensure that everyone is able to continue moving forward after an accident. But what some might not realize is that workers compensation may not be enough to cover all of the costs. And in some instances, a workers compensation claim may actually be denied or avoided. In these situations, finding a workers comp lawyer to help you with a workers compensation claim could be needed. 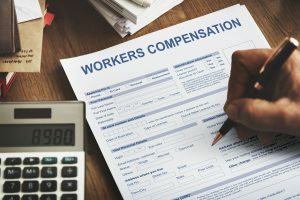 In fact, for most who are injured in a Florida workplace accident, contacting a workers comp attorney is a good idea regardless of the situation. If you're not convinced, just consider some of the following. Ask most people what the biggest risk on roads are - what the one action that can be taken which will put people at risk is - and a majority of people will likely respond with drunk driving. There's a good reason for that - over the last few decades, drunk drivers have caused millions of accidents and millions of fatalities. But these days, there's another risk that is every bit as dangerous as drunk driving and in some cases even riskier due to its prevalence. That risk? Distracted driving. 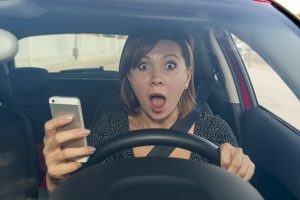 As mobile phones, mp3 players, and even dashboard 'smart centers' that handle things like GPS have become more and more commonplace, the number of people who use those devices while driving has skyrocketed. And along with those climbing numbers is a steady increase in accidents and injuries related to them. When you're injured in an accident of any kind, it can make it difficult to know what to do. Your physical recovery is hard enough, but when you factor in the financial impact that hospital visits and lost time from work can have on your life it becomes even harder to manage in the days following your accident. That's why a personal injury lawsuit is so important. Whether it's a slip and fall accident, an auto accident case, or something else entirely, being able to seek compensation for your injuries is important. It allows you to focus on physical healing instead of on your financial issues and can help you pick up the pieces and move on following your accident. Most people in America are now quite familiar with hearing the word “forensics” used when referencing crime investigation. However, its use over the years and its frequent application in fiction, reality TV and the daily news when documenting criminal trials has given some people the impression that forensic science is basically crime science, and that’s not actually true. 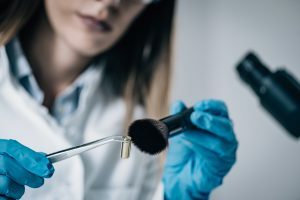 Forensic science can also play a valuable, critical role even in civil cases, such as a personal injury lawsuit. But if that’s the case, then how? Let’s look at Forensic science really is. What If Your Employer Has No Insurance? If there’s one thing that American culture strives hard to maintain it’s a fair deal; especially for honest, hardworking Americans. This is a country that is built on the idea that if you work hard, put in the time, and do an honest job, you will be rewarded for that effort. And it also means that when someone else does wrong by you, that person should make it up to you. 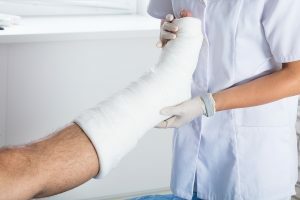 In the world of employment, this usually means that if you’re injured while on the job, there will be some kind of workers compensation that you are due, to help you recover and to make up for any lost wages you might experience as a result of your injury until you’re ready to get back on the job. But what if your employer doesn’t have workers compensation? Is that even possible? Different states have different requirements for workers compensation, so how does it work here in Florida? Florida is one of the more ideally located states in the country when it comes to weather. 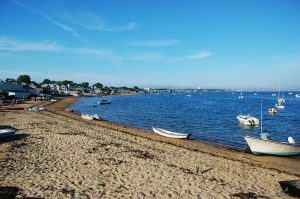 A combination of being one of the southernmost states and having incredible access to the ocean makes our part of the USA one of the most inviting. all year round. We have tropical weather, and some of the most scenic landscape in the country, as well as great attractions and bustling urban centers. However, for motorcyclist, Florida presents a double-edged sword. That warm, year-round weather means that motorcyclists here never have to put their vehicles away for part of the year. But this also means that there are many cars on the road at all times of the year, and this constantly puts motorcyclists at risk. 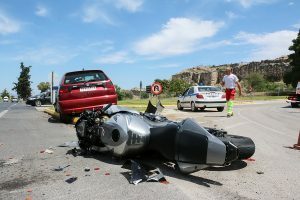 Once you get into a legal dispute with another driver, business, or property owner about an injury that was unfairly inflicted on you by the other party, a long, drawn out legal battle begins to form up. You, as a plaintiff are now seeking damages, usually financial compensation, in some kind of personal injury lawsuit for a civil court case. You may simply be seeking the compensation you are owed for recovery, or, more tragically, you may be seeking compensation for wrongful death, because a loss of life occurred during the incident. Regardless of the actual circumstances of the case, one thing is going to be very clear from the start. Your accident lawyer is going to be working hard on your behalf to investigate the facts of the case, and assemble whatever team is necessary in order to achieve this goal. However, it’s not your lawyer alone that will be trying to get to the truth of the matter. Insurance companies may also be involved, and some of those investigations may align with your own, while others may be conducted against you. With the American legal system, the clock is “always ticking.” There’s a limited number of judges, a limited number of courts, and only so many days within a year when legal business can be conducted and resolved. That means that the court always has to pick and choose the times and “battles” that are going to be waged and try to do it as quickly as possible because there will always be another case, another dispute that needs to be settled. This is especially true when it comes to minor breaches of law, such as disputing a traffic ticket, which can be resolved in a few minutes, and don’t even require the presence of a jury. However, for major cases, such as a lawsuit, the trial itself can last days, weeks, even years, depending on the severity. In these cases, the trial will take however long it takes for attorneys and a jury to reach a resolution, but where the clock ticks in these cases is how much time is allowed to pass before a case goes to court. The average American—thanks to the media—is aware of just how many accidents can happen on the road. Mishaps can occur for any number of reasons, although the most common cause of accidents, in general, is human error. This is despite the fact that when it comes to automobiles, Americans are required to take a test, evaluated by an expert, that certifies them to hold a license to drive. Without that license, a person can’t legally take to the road. So even with the numerous accidents that occur throughout Florida’s roads every day, the people involved have achieved a certain minimum level of driving competency, and have a personal permit that must be renewed every few years to retain that right to be on the road. When it comes to boats, this is definitely not the case. One of the things that we stress here when it comes to vehicular accidents is that in any confrontation with a truck, the truck will always win. It doesn’t matter if you’re on a bicycle, a motorcycle, a car, or even an SUV, you will lose in an impact with a large, commercial, freight hauling truck, and that is for one simple reason; physics. Regardless of the speed that you are traveling at, a truck simply has more mass, and that means the impact of anything lighter is going to be affected far more than the truck. This is very important to understand, because trucks, as big as they are, may be about to get even bigger thanks to research and feasibility studies being done to allow “Mega Trucks” on American highways. The unexpected loss of someone close to us can, unfortunately, happen in numerous ways in the blink of an eye. Beyond the random, unavoidable occurrences, such as a severe illness, or loss due to some extreme environmental catastrophe like an earthquake or a hurricane, there are plenty of more down-to-earth situations that result in the loss of life. Wrongful death is, sadly, one of those instances. 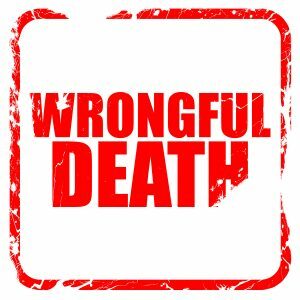 Wrongful death is when the surviving family members of someone who has died realize that someone else was responsible for a death that was otherwise preventable and decide to go to court. In many cases, wrongful death is usually about negligence, which means that a defendant is being taken to court because that person, group or business had a basic responsibility they were expected to perform, and failed to exercise that responsibility, which resulted in death.